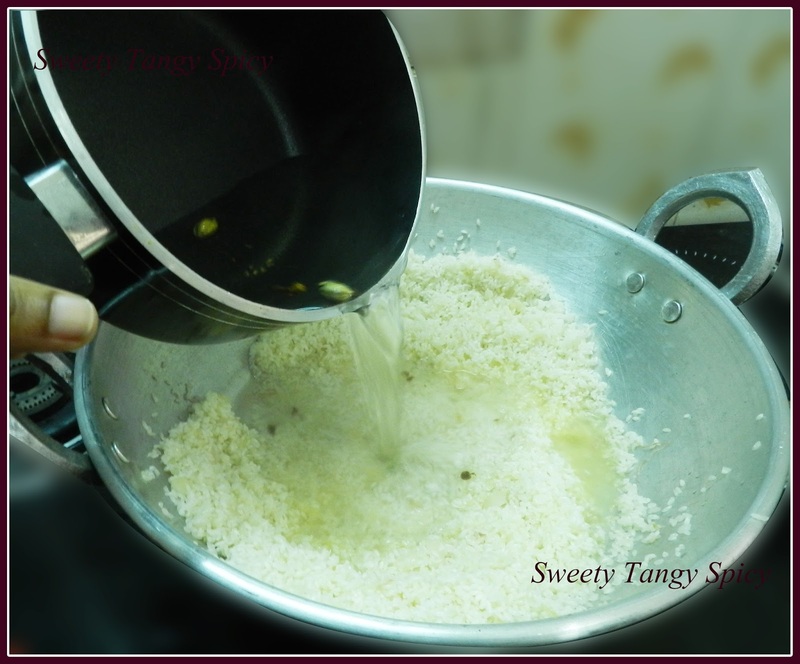 Ghee rice is the most attractive party favourite in South India. It is rich, tasty, simple and easy to make. Rice sauteed in ghee and whole spices is mixed with fried onion, cashew nuts and raisins. 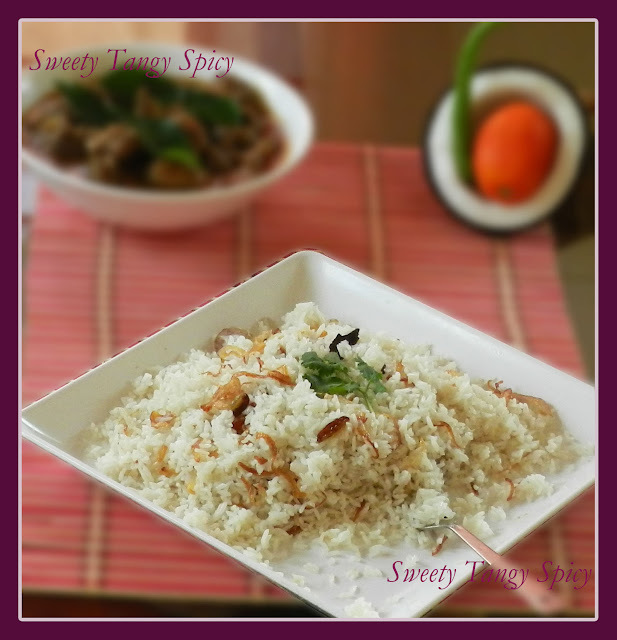 When I started making this dish, my preference was always basmati rice. 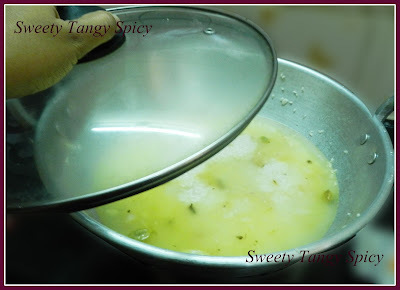 Yes, of course it was the king of taste to me until I tasted ghee rice in our society party. My taste buds exited after having that, it had rich taste and aroma. I wondered what was the difference, the method of preparation was same, but it was much tastier. Then I find out the real magician behind, it was the jeerakasala rice/kaima rice. 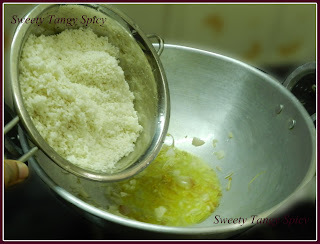 (The rice that commonly used in Malabar for making ghee rice, biriyanis etc.) After that jeerakasala rice is my favourite for ghee rice and biriyanies. Here in Mangalore, the main course of almost all the functions is found to be ghee rice. But I can proudly declare that the Kerala style ghee rice is much better than them. Once you have prepared this, I am sure that you will also agree with me. The following preparation is one of the basic type. Once you are comfortable with this, you can find out so many variations very easily. Wash and soak basmati/jeerakasala rice for about twenty to thirty minutes. Drain and keep aside. Heat two tablespoons of ghee in a pan. 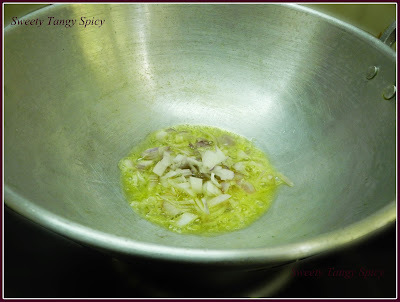 Add thinly sliced onion and saute until turns transparent. In the meantime, boil water in a vessel with salt. Crush clove, cinnamon, cardamom and bay leaves and add in water. 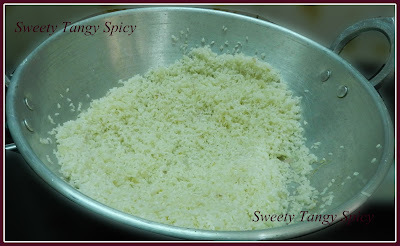 When it boils, Add rice, fennel powder (optional) and lemon juice. Cook covered on low flame, until the rice is cooked and water evaporated completely. Keep it closed for fifteen to twenty minutes. 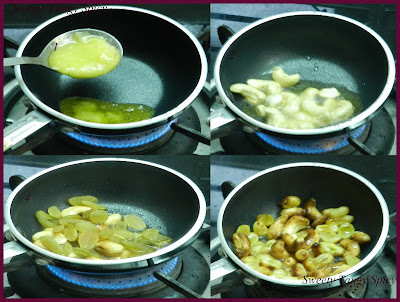 Heat ghee, fry cashew nuts and raisins until golden brown. 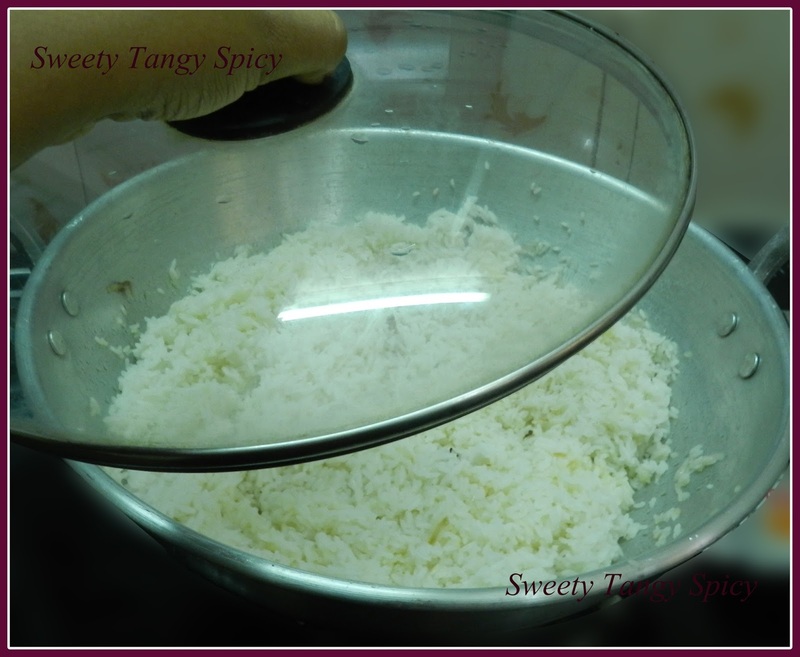 Once the rice has been done (after 15 to 20 minutes) gently separate the rice using a fork. Add half of the brown onions, ghee fried cashew nuts, and raisins. Mix softly. Garnish with rest of brown onions, raisins and cashew. 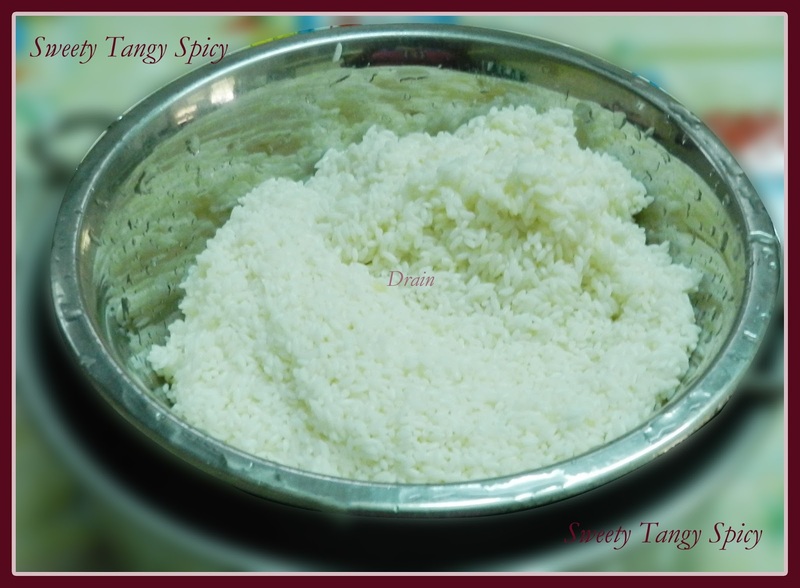 Now our ghee rice is ready to serve. It tastes good with chicken curry or egg curry, raita or any spicy gravy. 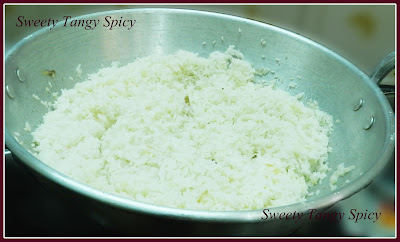 Wash and soak two cups of basmati/jeerakasala rice for approximately 20 minutes. Heat two tablespoons of ghee in a pan. Add thinly sliced onion (one small onion will be enough) and saute until it turns transparent. 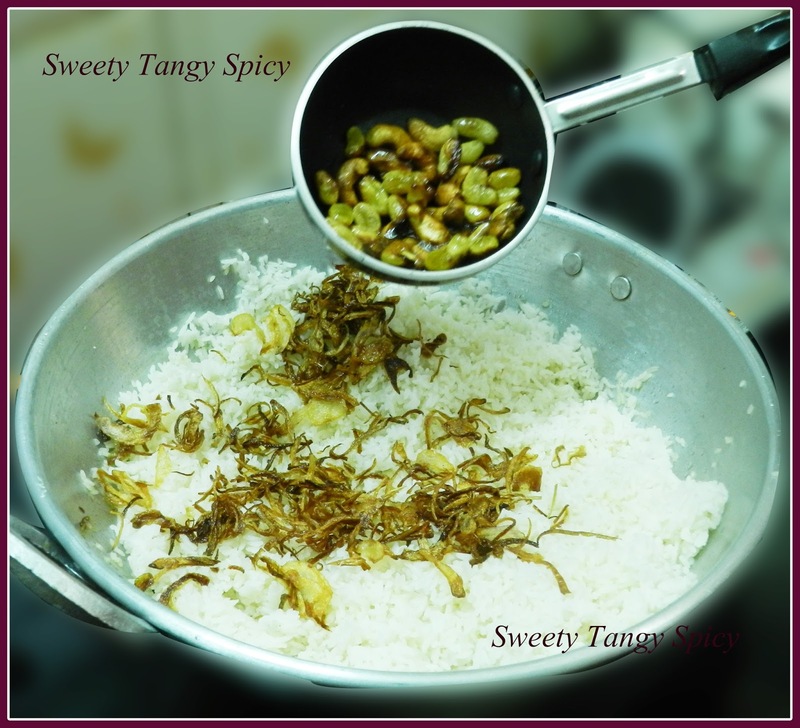 When it boils, pour in the ghee fried rice, 1/2 teaspoon fennel powder (optional) and 1 tablespoon lemon juice and cook covered on low flame, until the rice is cooked completely and water reduced. Keep it closed for fifteen to twenty minutes. 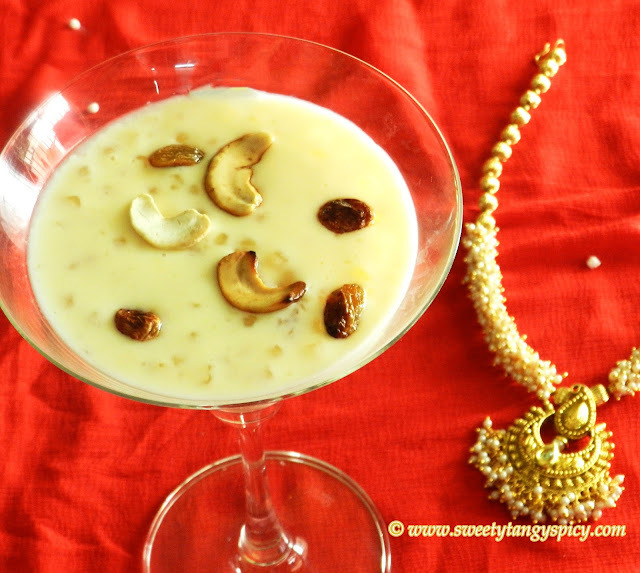 Heat two tablespoons of ghee in a pan, fry cashew nuts and raisins until golden brown. 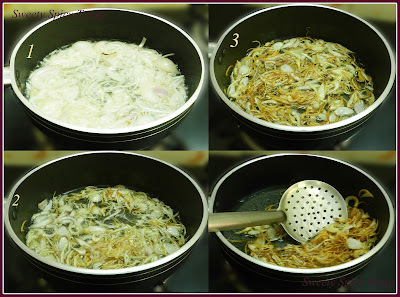 Fry thinly sliced onions to make the brown onions or barista. For a more detailed explanation, visit the post brown onions or barista. Use hot water for cooking. 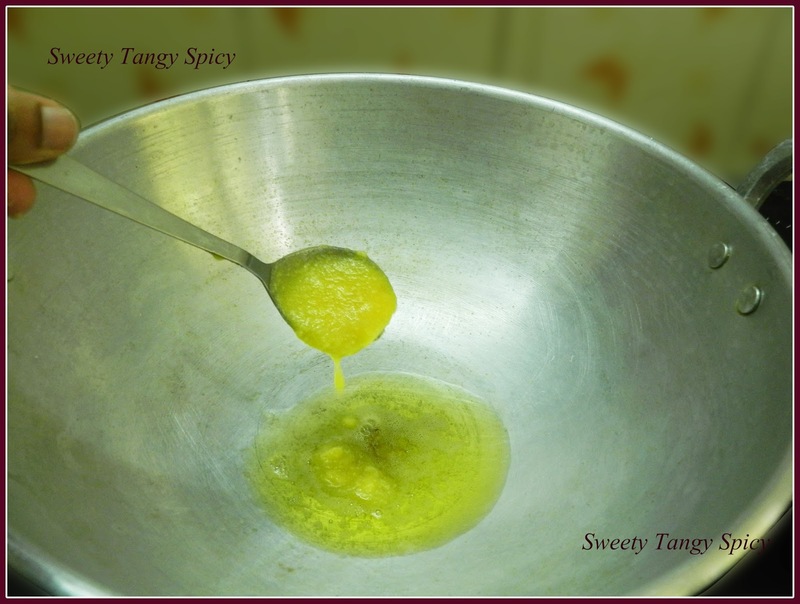 More ghee gives better taste. For stove method, use 2 cups of water per 1 cup of rice. 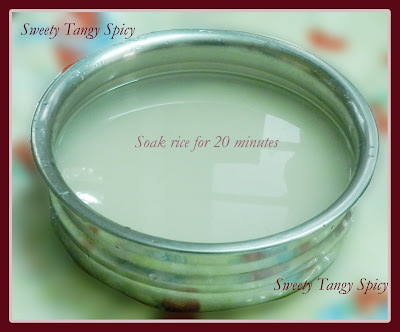 But in pressure cooker method, 1 1/2 cups of water per one cup rice should be used. For better taste, you can use coconut milk instead of water.